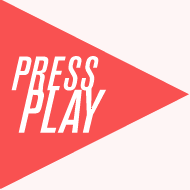 Press Play are proud to be kicking off this years proceedings with a corker of a North East documentary about the very last surviving vinyl record shop in Stockton on Tees. Over the last five years an independent record shop has closed in the UK every three days. Sound It Out documents a place that is thriving against the odds and the local community that keeps it alive. The film is filled with an abundance of characters, knowledge and 70,000 records. A funny, personal and distinctive portrait which charts obsession with music and the irreplaceable role it plays within our lives. We are delighted to welcome director Jeannie Finlay, who grew up three miles from the shop, along with stars of the film Tom and Shane who will be taking part in a Q&A. Michael will be on hand to help the beginners whilst any bedroom DJ’s can take to the wheels of steel on their own and get the crowd going..Expect a rollercoaster ride through the best sounds of the decades..prizes will be awarded for our best selections..so grab your songs and come along – register on the door and fill the floor!! I have a large collection of early Bob Marley / Peter Tosh Vinyl & would like to know if they are of any value ? Can you please help me ? I may be interested in selling them on if the price is right !